On our last 4 day Wildlife Journey to East Gippsland, we watched delighted as a family of female and juvenile Australian Fur Seals played near the rocks at Cape Conran. 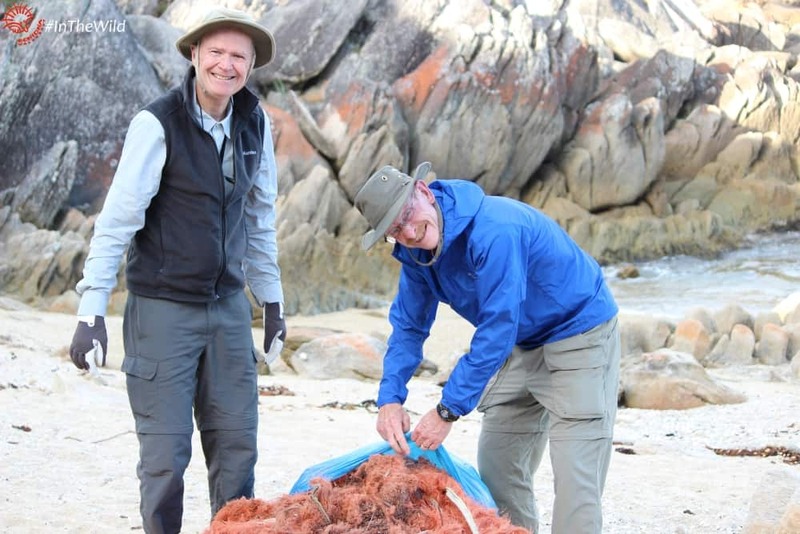 It was our last full day, the sun was warm, the beach was deserted and we had walked out along the rocky headland to clean up and remove ghost net – discarded fishing nets that get caught amongst the rocks. It usually takes about half an hour, its easy and fun to be doing something positive for wild animals after enjoying them all day. We always see some great wildlife while we’re removing ghost net. 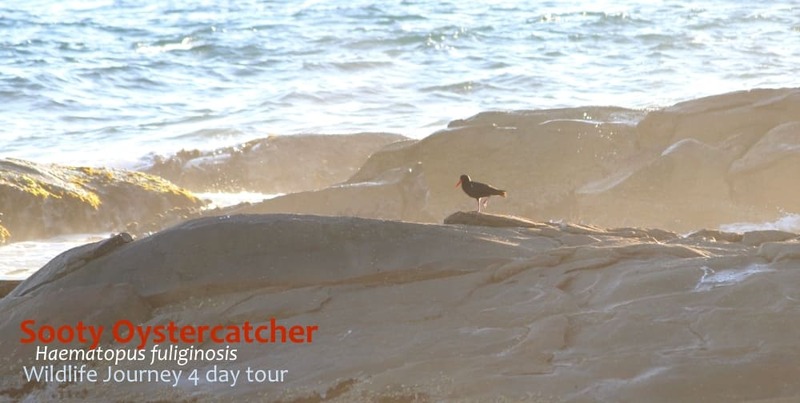 Sooty Oystercatchers were out on the rocks in the low sunlight, a White-bellied Sea Eagle flew over carrying a fish, Shy Albatrosses skimmed the waves out to sea, and Silvereyes whistled in the Coast Wattles. But try as we might, we couldn’t find any ghost net. Our Wildlife Guides and Wildlife Journey guests have removed it all. 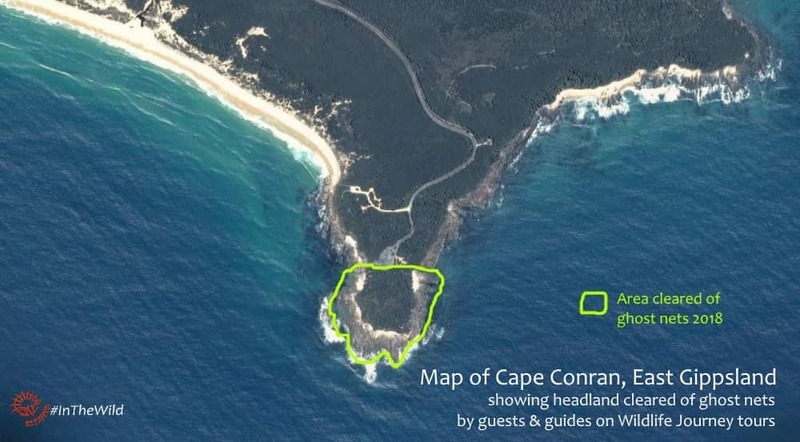 Over the last few years, we’ve removed around 20 garbage bags full of dangerous, wildlife-killing net from this headland. Its a great achievement – when we started this project in 2013 the huge orange nets were everywhere. Most of them were so large & heavy we couldn’t move them in one go. We had to cut them up into manageable pieces. It wasn’t difficult to remove the ghost net, once we had tried it and knew how to do it. Please give it a try – you will need a garbage bag, gardening gloves and a sharp knife or heavy duty scissors to cut the strap that holds the net together. See images of ghost net caught in the rocks and its removal here. Ghost nets lodged in rocks pose an ongoing danger to wildlife. 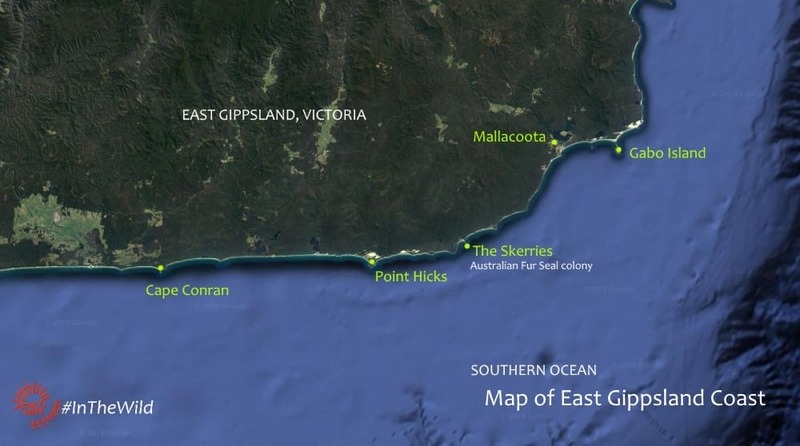 If swept out to sea in a big storm (Southern Ocean storms are legendary), they could entangle fur seals, albatrosses, dolphins and other marine wildlife. Baby fur seals are particularly endangered by ghost nets and plastic. They are playful, and will curiously investigate any new object they encounter. 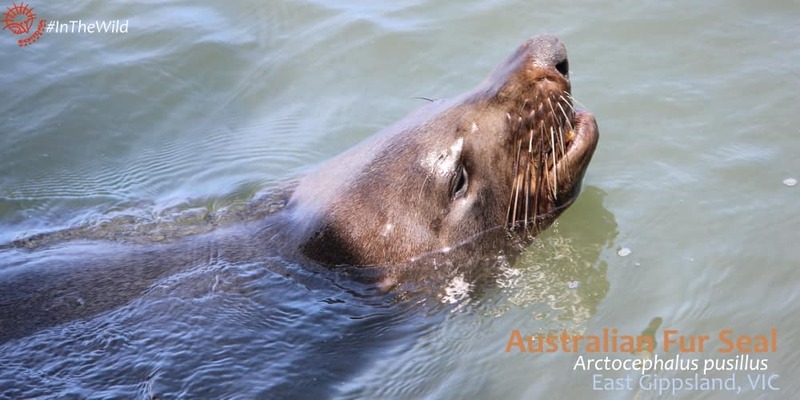 A study by Phillip Island Nature Parks found that, on day visits to Seal Rocks, up to 6 fur seals were seen entangled every day. Over 80% of those were pups and first year juveniles. 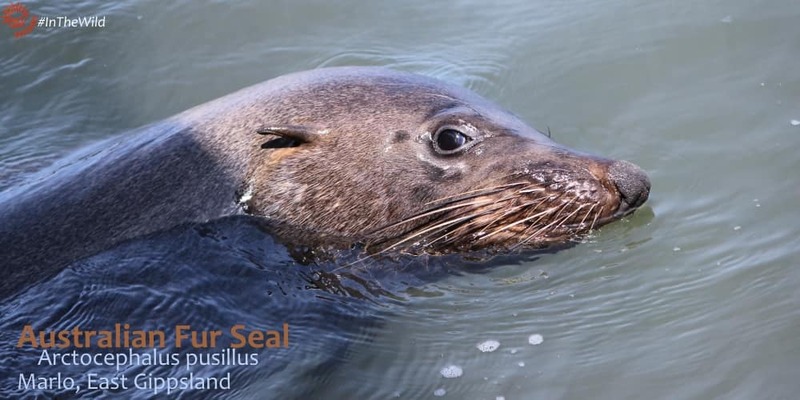 Our friends at Wildlife Coast Cruises are taking action to help wildlife – they report all entangled marine animals to Phillip Island Nature Parks and together they work to rescue them. Read more about this project (and watch a video of a pup being saved) here. Suggestion: combine the Wildlife Journey with a cruise to see seals and whales with Wildlife Coast Cruises. Even the wildest, most remote parts of our world are polluted by our waste. 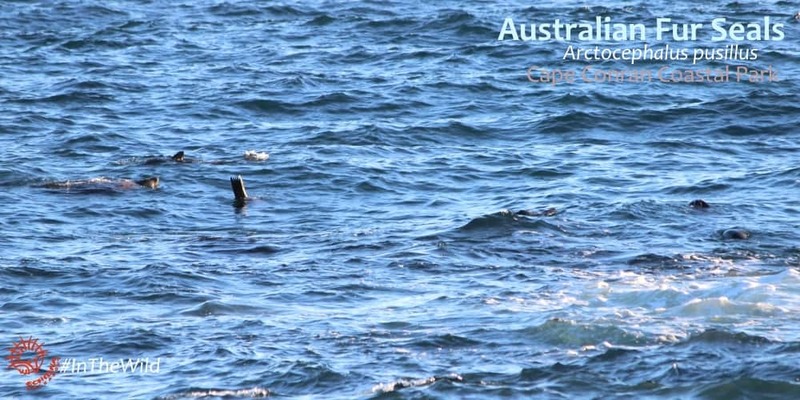 Our oceans are full of floating plastic and drifting nets which are a trap for fur seal pups and other marine wildlife. Hundreds of thousands of people travel to Australian beaches every year. With a little effort most ghost nets, and a lot of plastic rubbish, could be found and removed. Tour operators could incorporate this in to their program easily, offering the tools and the opportunity to willing visitors. In fact – its already starting to happen near Melbourne: tour operator Autopia Tours has just introduced a new beach-cleanup initiative Trash Bags on Tour on the Great Ocean Road. Everyone loves to do something positive for wildlife while travelling. Echidna Walkabout’s 4 day Wildlife Journey operates from 1 September to 31 May each year. Echidna Walkabout and Wildlife Coast Cruises are members of Australia’s most prestigious and conservation-focused collection of wildlife tourism operators: Australian Wildlife Journeys.